Our dentists and staff take part in continuing education through the forms of additional training, lectures, meetings, and conventions. This is to aid us in our goal of constantly being aware of the newest techniques, research, materials, and equipment. We do all of this to provide you with the best care available. Ken Palladino graduated from Miami University in Oxford, Ohio in 1984. He continued his education at Case Western Reserve Dental School where he graduated in 1988. He completed a one year general practice residency at Mt. Sinai Hospital in Cleveland. Upon the completion of the residency, Dr. Palladino joined Dr. Alfonso Rossi in July, 1989. Ken is married and has 2 children: Nick and Isabella. When not at the office, Ken can be found golfing, traveling or fly-fishing. 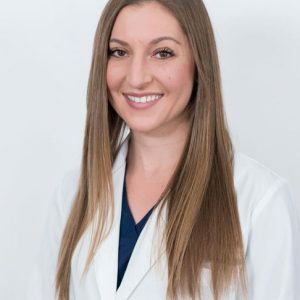 A Cleveland native and 2007 St. Vincent-St. Mary graduate, Dr. Duqum attended Ohio University where she earned her Bachelor’s of Science degree in 2012, followed by her Doctorate of Dental Surgery at The Ohio State University. Upon graduation, Dr. Duqum furthered her skills by attending the graduate practice residency at Mercy Medical Center in Canton, Ohio. Dr. Duqum has many interests in the area of dentistry, but particularly enjoys working with children. Helping a child and a parent have a positive experience in better understanding their health is what makes Dr. Duqum's job so rewarding.